Fluted Fasteners: Metal, fluted, decorative fasteners. 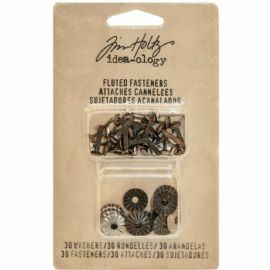 Contains antique nickel and brass paper fasteners (brads) and washers. 30 x 3/8" washers & 30 x 1/2" fasteners.